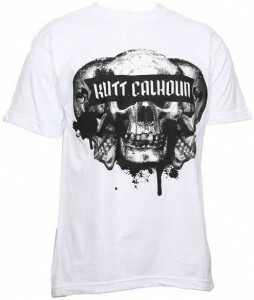 Direct from the Strange Music Store comes this menacing Kutt Calhoun “Skulls” shirt. The 100% cotton shirt features a gritty image of three separate skulls emblazoned with Kutt’s name and the Strange Music logo. 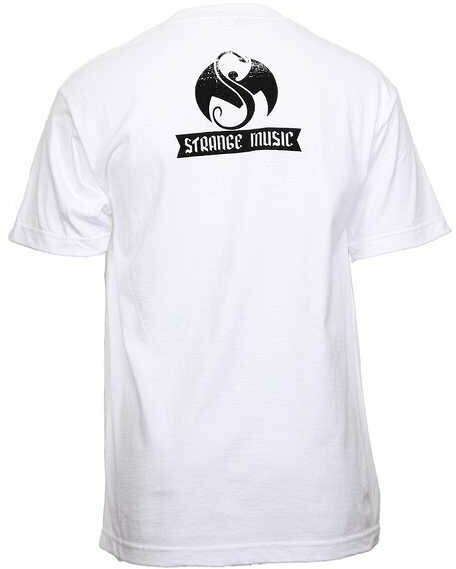 The back also features a Strange Music logo across the shoulders. This tee is available in sizes M, XL, and 3XL. Printed on white, this tee is a sure fire way to look clean and Raw & Un-Kutt. Click here to get yours today.